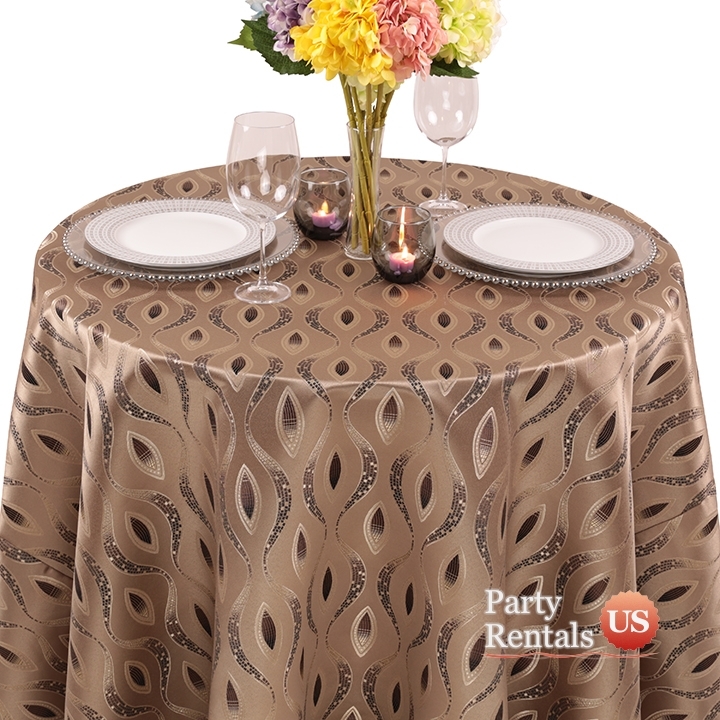 To add pizzazz to your celebration, rent our "Art Deco Eclectic Tablecloth". This contemporary design has sparkling curls that will wow your guests. It is a fun way to dress your tables and will illicit numerous compliments throughout the event.